Today's Coupons - Expire in 7 hours. 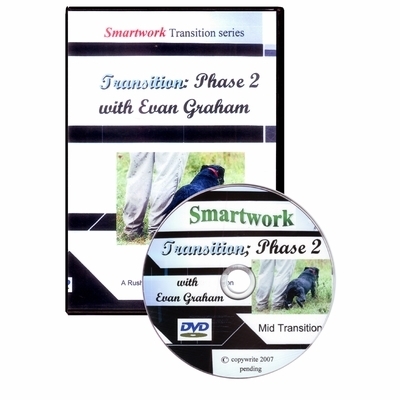 Smartwork is a system I developed over thirty years, and is presented in a multimedia format to provide the premier learning tool for aspiring trainers. However, to allow ease of learning and a fuller understanding of the material, we provide a growing collection of DVD modules of the system. Each DVD module offers the most detailed and graphically illustrated explanation of the steps of development for your retriever available anywhere! We include all the sequential steps and tips you'll need to do your own training with your dog, and to develop him or her to the highest level you desire. In addition to this, in future DVD productions we will be presenting even more instruction beyond that which is contained in our books. Handling, marking, practical hunting applications, and competition-based instruction are all proposed for future productions. The cost of each item has been kept at an affordable level to allow you to expand your library of information at your own pace, while giving you the information you need to enjoy the pride of having done it yourself! This will continue to be our commitment to you. NOTE: Because it is important to me that my system be presented as it is intended to be used, we shoot all our own video, and do all our own editing and DVD production. No non-dog trainers participate in this process, and that has allowed each presentation to be geared toward the trainer exclusively. No aspect of our information has been watered down, modified, or omitted because of production concerns. Every effort has been made to assure that this program is enjoyable to watch, while sparing no effort to provide extensively detailed instruction. I was checking out dog containment systems with some other dog product companies and I wasn't able to get my questions answered - it was a little frustrating. I tried your website and called your cust... -Thank you. Mary B.